This book is one of a series of American novels set in a small town Lousiana about a girl Sookie Stackhouse who can read minds. 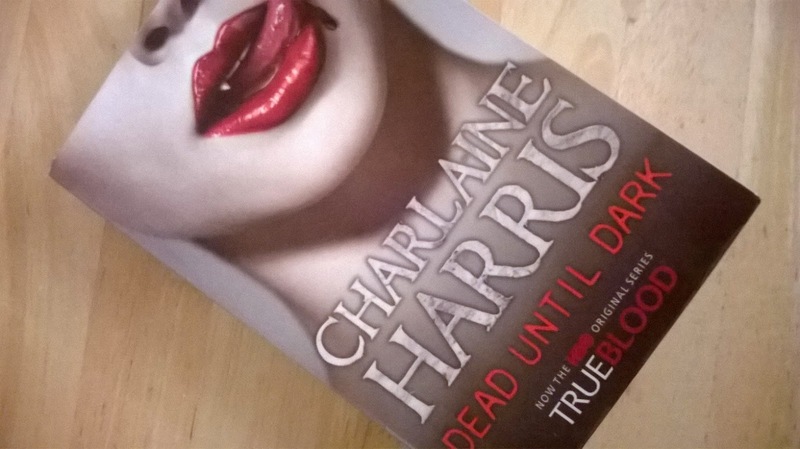 It is these books that the popular television series True blood, is based on. I haven't seen this program but thought this was worth giving a go as no one would base a television series on a book that wasn't great. I'm a big fan of Anne Rice, the undisputed queen of the vampire genre, as well as the Twilight series by Stephanie Meyer, and have long held a deep fascination with Vampires. These wonderful immortal beings that have lived through the ages and been there first hand. I for one would love to be able to step back in time and these creatures have seen it all. I find vampires interesting because they are always trying to blend in with humans and are desperate to fit in despite being so different, something we all feel from time to time. There's also the juxtaposition of being savage beasts whilst also capable of emotions such as love and friendship. It seems that despite their supernatural gifts and abilities they still fight to hold on to what they had when they were human. This book is quite different to other vampire novels I have read as in this they are not a secret race hiding out amongst the crowd. They are a newly legalised class of people and are interestingly seen as an underclass rather than the traditional stereotype of predators. In fact in this story it is the human girl that initially saves the handsome vampire and not the other way around. Sookie Stackhouse the books main character also has supernatural powers of her own. She can read minds, but in the books alternative reality this is seen as a major disability. Throughout the novel there is a tension building up throughout which simmers nicely. Though I found I couldn't really relate to Sookie's character. Whilst reading I couldn't quite decide whether she was incredibly stupid or brave. I love vampire stories but I find it hard to comprehend that a living human could find a dead person attractive and subsequently fall in love, especially when your beau could easily kill you. In the end I decided that she was stupid. I couldn't understand why she didn't want to do anything with her life when she had a lot going for herself. She has an amazing gift of being able to read minds yet constantly refers to it as a disability. She lives in a dead end town, working a dead end job and has very few friends. Sookie doesn't seem happy with her life but doesn't seem to realise she can do something about it. This book is a good light hearted read and at times quite deliciously trashy. It's been categorised as Horror but I would firmly class this as romance, bordering on chick lit, a genre that I have no appreciation for at all. Compared to other authors such as Anne Rice this is light and fluffy and would probably appeal more to young adults and teens. If you like your vampires to be scary and undomesticated this might not be to your liking. Why does Sookie not want to utilise her powers as a mind reader? Could she use them to get a great job? Could she use them to do good? Is Sookie as naïve as Bill suggests? It the book it is suggested that fang bangers on some level want to die and suffer. Do you think Sookie felt the same? She couldn't date, fall in love and live a normal life due to her gift. Did she therefore want to experience danger as a remedy to her dull life? Was she looking for an escape from monotony, even if it meant death? What's a subject and an infinitive within a sentence?